It is now more than forty years since one of the greatest books about the history of Viennese modern culture at the turn of the 20th century was published: Wittgenstein’s Vienna. Its insights remain vital at a time when the heuristic power of “fin-de-siècle Vienna” has increasingly been found wanting by scholars (if not by sellers of Klimtiana). Much excellent work has been done on Wittgenstein since 1973, but there is still much that we can learn about Wittgenstein and his Vienna, and I think it is high time that we reinvest our time and attention in Wittgenstein’s Vienna, both conceptually, as a work in the history of ideas, and, historically as a subject of immense contemporary relevance, especially to the Vienna of today. The reason why this is so effective is due to the great compass of Ludwig Wittgenstein’s own world. He himself, and his family, were not confined to a parochial Viennese context. 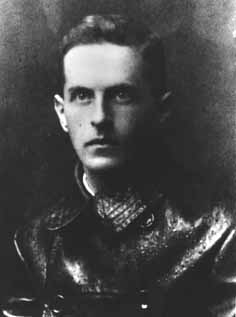 The family had roots in Germany and there was also the fact of Jewish descent on both sides of Wittgenstein’s family tree. 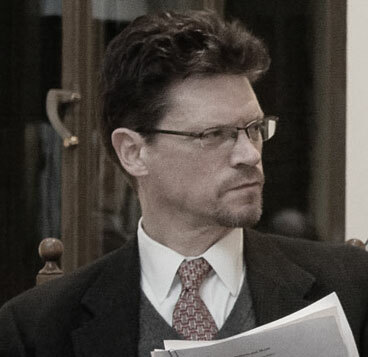 Ludwig’s father had gone off to America for some time as a young man, and Ludwig himself went to Berlin and Manchester to further his education, and then, most significantly, Cambridge. He became fascinated with Scandinavia and especially Norway. His world extended far beyond Vienna’s city limits or the Habsburg frontier. Put another way, “Wittgenstein’s Vienna” was a very cosmopolitan, internationally open and outward-looking one, expansive and inclusive at the same time. Partly this was due to the immense wealth and economic power and connections that the family had accumulated, but partly it was due to the fact that the family lived beyond the local, on the global plane. This is an aspect that should make Wittgenstein’s Vienna most attractive to contemporary Vienna, emphasizing as it does its role as an international (UN/OPEC/OSCE) city, open to the world. One aspect of Wittgenstein’s Vienna that remains insufficiently researched and understood, and yet was a necessary condition of Ludwig’s upbringing, experience and career as well as one of the largest legacies to modern Vienna and Austria, is the material underpinning of it. 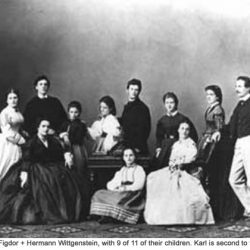 The source of the family’s immense wealth was the father, Karl Wittgenstein’s, phenomenal success in developing the Austrian steel industry. Had the father not amassed such economic power and created such a strong, advanced industry, the son would not have had the opportunities for studying abroad, or the time for studying and thinking, that contributed to his intellectual achievement, nor would modern Austria have had the sort of steel industry that proved so vital in creating and maintaining Austrian prosperity after 1945. 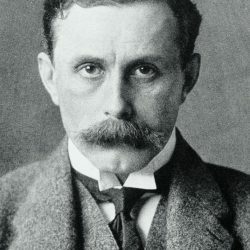 Ludwig might still have proved himself a genius without the material support, and there were other sources for technological advantage in the Austrian steel industry, but I think it fair to say that Karl Wittgenstein’s economic achievement made much more likely his son’s achievement and modern Austria’s chances for economic well-being. 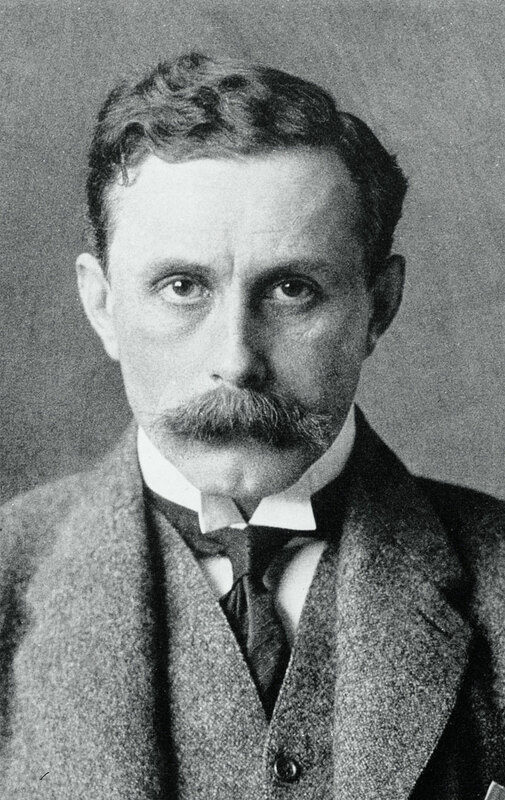 Some research has been done on Karl’s career, but much more could be done, and the question of what the entrepreneurial culture, what the economic, technological and financial context was that allowed him to have such a stellar career, remains intriguing, and of central importance to Austrian history, given the economic prominence in Austria of the heir to Wittgenstein’s company, VOEST-Alpine. It is less clear what the composition of this second society was, because not all members of those categories listed necessarily belonged to a second society, and the term has come to cover a host of various groups, some of which were connected, some not. 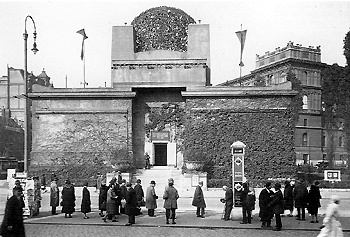 The “Ringstrasse society” included a large percentage of the “second society”, but not all. 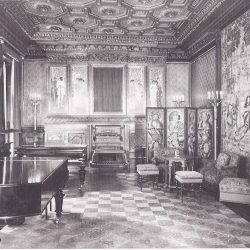 The Protestant industrial class, consisting of families such as Krupp and von Schoeller of which the Wittgensteins were prominent members (despite Karl’s children being Catholic), had its own annex of the second society, as did the academic world, the bureaucratic world, and the theatrical and musical worlds. Quite who did and did not belong here was a question of familiarity and connection, snobbery and exclusivity, style, intelligence and charm—or the lack of it, that made for a very extended, yet sometimes patchy network (perhaps like all social elites). The complexity of the question is increased by the Jewish aspect of it. Another vignette of Viennese society, with a similar sense of a divided “first/second society” elite, puts the division somewhat differently. In “Paul Vasili”’s [probably Catherine Radziwill], Die Wiener Gesellschaft [Leipzig, 1885], the same absolute division between the high aristocracy and the banker/merchant elite is there, but it is made an ethno-religious one, namely between the “high aristocracy” and the Jewish “barons of finance”. “Der Finanzadel hat sehr wenig Beziehungen zur wirklichen Aristokratie. (…) Im Allgemeinen…äussern die Wiener Aristokraten die entschiedenste Missachtung vor den Söhnen Israels, die ihre Freiherrnkrone nur kraft ihres Geldes erlangt haben.” [p. 358-359] According to Vasili the finance barons are not themselves very intelligent or creative, but their families are the ones in whose salons artists, writers, and “other interesting people” circulate, much as Lady Paget described. So one question about the Wittgensteins and the “second society” was how much their Jewish descent was a normal feature of this society. When we talk of Vienna’s “second society” are we, in effect, talking of the social world of the (Jewish) financial elite, perhaps their Protestant industrialist allies, and the various cultural and intellectual figures who gravitated to the financial and social power of this society? It is striking that recent research into the Ringstrasse development has shown that around half of the owners of properties in the “project” were Jewish or of Jewish descent, and that is before we even look at the more specific groups of families, such as the Wertheimsteins, Liebens and Gomperzes, that supported the cultural and intellectual life of the Ringstrasse society. Understanding the extent to which this Second Society was Jewish, and then tracing the social strategies that the members of this group employed to establish and confirm their social position, by, for instance, marrying members of “respectable” groups in Viennese society, such as government officials, or even perhaps successful scholars, musicians or writers—or marrying within the group of financiers and industrialists (Jewish or not), is a fascinating long-term research project of the Wittgenstein Initiative. One major way in which the members of the “Second Society” chose to secure and foster their social position was through patronage of, and engagement with, the various intellectual and cultural worlds of Vienna, whether artists, writers, musicians, architects, scientists and professors, or the like. 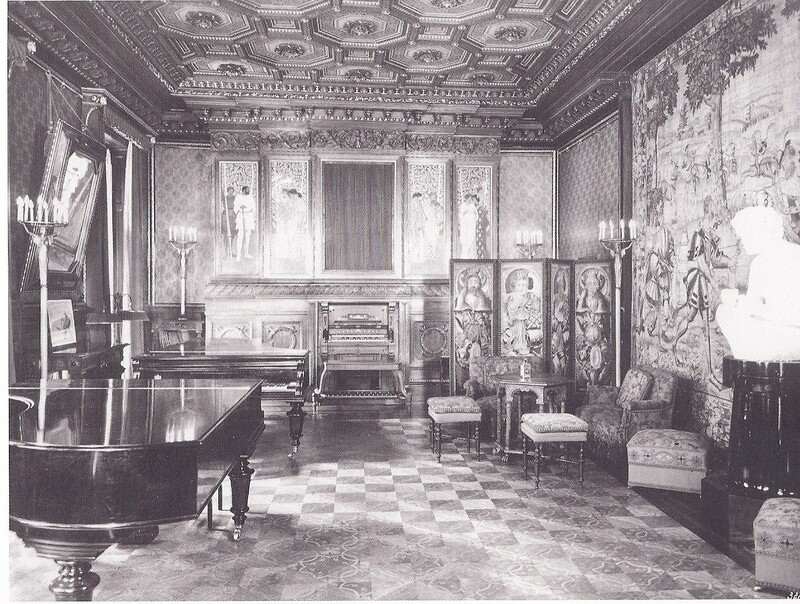 In many respects the Wittgensteins were exemplary, such as in Karl’s funding of the Secession building, and the very active musical salon that was held in the Palais Wittgenstein for many years and with many prominent composers, performers, and guests. In other respects, though, the Wittgensteins were just being typical of their social peers in the (largely Jewish) financial and industrial elite. Margaret Stonborough’s is one of Klimt’s finest portraits, but is only one of many other (second) society ladies, most of them Jewish. The same could be said for the Wittgensteins’ patronage of the musical world. There has been much work done on the patrons of Vienna 1900, especially when it comes to art, but there is more to do in terms of understanding the reasons for the patronage and the mechanism by which the arts were supported by this group, how significant (or not) the support was compared to that of the state, and yet also the extent of the influence that this group (in league with their favoured artists) exercised over government cultural policy, one example being the founding of the “Modern Gallery” in 1903 in the (Lower) Belvedere. In music, perhaps the classic instance would have been Mahler’s successful campaign to be director of the Court Opera House, and the way it was facilitated by his supporters outside the government, but close to the government officials who purportedly made the decision. There are obvious parallels and contrasts here with how cultural policy and support is decided in modern day Austria. Beyond the question of material and social support for modern culture in Vienna, is the way in which the Wittgensteins, especially Ludwig, interacted with the larger world of Vienna 1900. 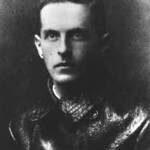 The Wittgenstein family members took a lively interest in what was going on intellectually and culturally in Vienna, so that their patronage was aimed at cultural groups they wished to encourage, such as the Secession. 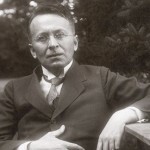 We know that Ludwig read and was influenced by, among others, a particular subset of intellectuals and artists in Vienna 1900, those around Karl Kraus and his critical and satirical journal, Die Fackel. 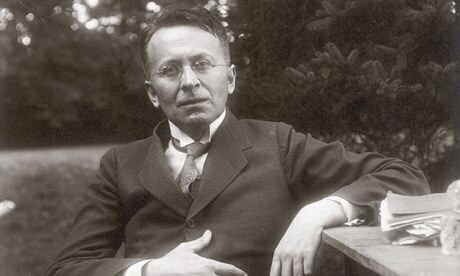 Ludwig might have been directly linked to figures such as Paul Engelmann (Ludwig’s co-designer of the Wittgenstein Haus), through his interest in the work and thought of Adolf Loos, but indirectly he was also linked in with the whole of Vienna’s cultural and intellectual society, with one coffeehouse Stammtisch, one set of academics (the Vienna Circle) connected by various individuals to others. 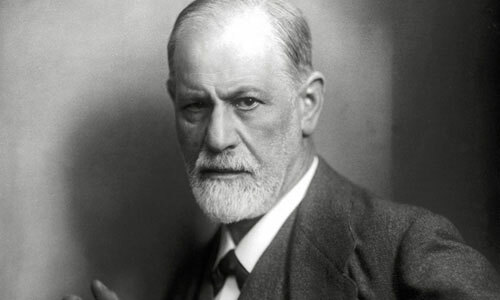 There were really not that many degrees of separation to much of this, even though there were famous examples where people apparently lived parallel, unconnected, lives, as in the case of Sigmund Freud and Arthur Schnitzler. The networks out of which Vienna 1900 arose, and the more material aspects by which those networks were facilitated, such as coffeehouses, salons, journals and seminars, have been researched, but more could be done. Then there were the links between the modern high culture of Vienna 1900 and the more quotidian world in which most Viennese lived, whether it was the popular secular culture of the various ethnic groups that immigrated into Vienna, or the various religious cultures that they brought with them, or encountered once they got here, chief among them being the Catholic-Habsburg Baroque culture that appears to have still been predominant in the Viennese populace around 1900. One of the more significant of the links between high and “low” culture was that of the quasi-mass popular culture of the commercial theatre, especially Viennese operetta, and then, even before 1914, film. The Wittgenstein family might have thought themselves beyond such mundane interests, but, one way or another, they were also tied to, involved, and subject to, the consequences of how this popular culture developed in the first half of the twentieth century, and especially the mutual interactions between it and the politics of the time. Here again, it is difficult to understand what was going on within the high cultural world of Vienna 1900 or in mass popular culture and “middlebrow” pursuits such as operetta without recognizing the very large Jewish participation in these areas. 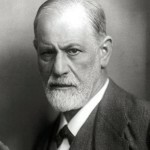 We have seen Jews as prominent members of the “Second Society”, but Jews were also very prominent in many, perhaps most, of the intellectual and cultural fields of Vienna 1900’s modern culture. What is perhaps not so well known is that this was also true of Viennese popular and “middlebrow” culture, at least as far as the modern mass popular cultural fields were concerned, including operetta and film. 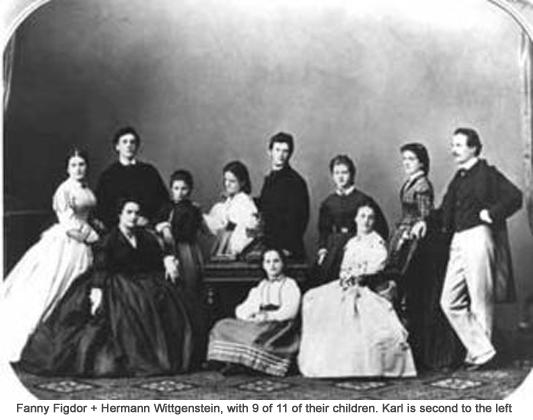 That the Wittgenstein family was largely of Jewish descent but thoroughly assimilated, members of the financial and industrial elite that was such a significant part of the “Second Society”—and provided not only patronage for, but also participants in the modern cultural and intellectual world of Vienna 1900, makes it almost a paradigmatic example of the “Jewish” part to Vienna 1900. This legacy was an exceptionally positive one, one that modern-day Vienna should do all it can do to recognize and indeed emulate. 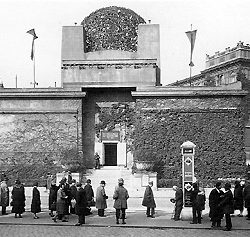 It should not be denied, nor should it be usurped or downplayed, even if in many respects it is an awkward legacy, because of the other side, the antisemitic and reactionary side of Viennese and Central European history, that culminated in the Holocaust, and destroyed this positive, largely Jewish side to Vienna 1900. The embarrassment of today’s Vienna about its own past should not be an excuse for denying the good side of that past, nor for not claiming that past as the source of inspiration in the future. Ultimately the legacy that Vienna 1900 left, that Wittgenstein’s Vienna bequeathed, was a moral one that anticipated, and even partly inspired, much of the critical modernism that keeps, or attempts to keep, our modern world honest. It stressed the individual’s place in economics and politics, Austromarxism did this even in Marxian theory, and it emphasized how in a modern, civil society, truth had to be spoken to power, in order to get beyond the illusions of absolute value systems, such as integral nationalism or the closed ideology that emanated from the Soviet Union after 1917. Wittgenstein’s Vienna was about recognizing the limits of socio-political absolutes and the falseness of partial totalities such as the nation. And it also anticipated the other, post-modern, side of our world, in its embrace of and respect for difference, and its instinctive emphasis on bringing disparate aspects, disparate groups and different viewpoints together, an emphasis on inclusive logic rather than the exclusive variety. One can see this in the multi-ethnic and even multi-racial character of operetta protagonists, where love relations crossed class, religious, and racial lines in surprising frequency, anticipating the similar, liberal pluralism of the classic American musicals. One can also see this in the logic of Otto Neurath’s embrace of the encyclopaedic method, whereby separate fields with their own languages could nonetheless communicate across the purported linguistic barriers, just as had been the case with the original encyclopaedists of the French Enlightenment. Difference was not a complete barrier to practical understanding. Karl Popper’s idea of a (positive) clash of cultures similarly was a typical product (Popper’s feud with Wittgenstein notwithstanding) of the embrace of pluralism and difference by the world of Wittgenstein’s Vienna. And here, as a final link to Ludwig Wittgenstein himself, is the irony that both of Ludwig’s philosophies reflected and perpetuated this legacy. Wittgenstein I of the Tractatus set the limits of scientific knowledge and the truths of the intersubjective world of politics and society, at a place where it could not reach the aesthetic and ethical, but primarily ethical, values by which the individual should live. When Wittgenstein radically revised his outlook, in “Wittgenstein II” of the Philosophical Investigations, language became a far more functional phenomenon, with meaning based on usage rather than any language, even scientific language, being a perfect mirror of reality. In its basic moral implications for the place of individuals in politics and society, however, this philosophy maintained its denial of the absolute truth of any political system, any “partial totality”. There was never one, entirely right answer to any question, there were always other possibilities, depending on a panoply of complex circumstances. Hence the lists of possible answers Wittgenstein offered to the questions that he posed about the meaning of apparently simple sentences. Both of these philosophies end up denying the possibility of straightforward answers to what is higher, and in that sense they are classically liberal pluralist, even when Wittgenstein’s own views, as expressed in his notes, put together in Culture and Value, could appear (aesthetically at least) quite conservative at times. But then one person’s conservative is another person’s liberal pluralist, which is as it should be. That is why, I think, the arguments that I have often witnessed as to whether someone was “Austrian” or “Jewish” is at some level beside the point, because they were both. Wittgenstein’s philosophies, both of them, have many aspects that reflect Austrian approaches (as well as German and Central European ones), but they are also both, in their emphasis on the limits of knowledge and the lesson of the diversity and different, multiple meanings of languages, very much within a Central European Jewish tradition. And that over-determination is what makes them still such influential and powerful systems of thought. They, and the world that produced them, Wittgenstein’s Vienna, should remain a lodestar and an inspiration to the Vienna of today.